Mustafa Amine Badreddine was killed in artillery fire by jihadists, Lebanese Hezbollah group says. The death of the Hezbollah’s top military commander in near Damascus airport was announced on May 13 and initially blamed on Israel, Hezbollah’s chief enemy. Mustafa Badreddine was believed to have run all Hezbollah’s military operations in Syria since 2011. Thousands of Hezbollah troops are supporting President Bashar al-Assad. This has pitted it against several groups of anti-Assad rebels – from ISIS to the al-Nusra Front. Takfiri is used to describe militants who believe Muslim society has reverted to a state of non-belief. The Lebanese Shia Islamist movement has played a major role in helping Iran, its main military and financial backer, to prop up the government of President Bashar al-Assad since the uprising erupted in 2011. Thousands of Hezbollah fighters are assisting government forces on battlefields across Syria, particularly those near the Lebanese border, and hundreds are believed to have been killed. 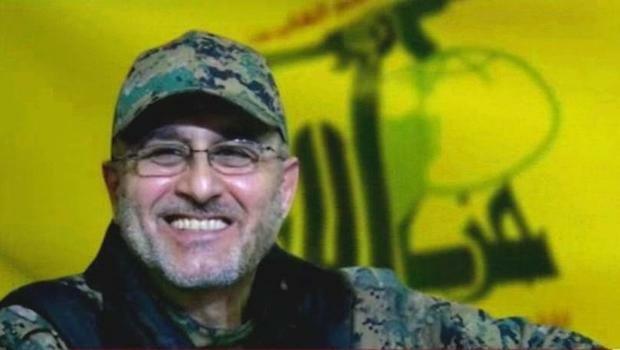 The Hezbollah statement said Mustafa Badreddine’s death “will increase our determination… to continue the fight against these criminal gangs and defeat them”. Born in 1961, Mustafa Amine Badreddine is believed to have been a senior figure in Hezbollah’s military wing. He was a cousin and brother-in-law of Imad Mughniyeh, who was the military wing’s chief until his assassination by car bomb in Damascus in 2008. They are alleged to have worked together on the October 1983 bombing of the US Marine Corps barracks in Beirut that killed 241 people. Mustafa Badreddine is reported to have sat on Hezbollah’s Shura Council and served as an adviser to the group’s overall leader Hassan Nasrallah. Hezbollah was established in the wake of the Israeli occupation of Lebanon in the early 1980s, and has called for the “obliteration” of Israel. Mustafa Badreddine was also charged with masterminding the assassination of former Lebanese PM Rafik Hariri in Beirut in 2005. An indictment from the ongoing Special Tribunal for Lebanon in The Hague details Mustafa Badreddine’s role in bombings in Kuwait in 1983, that targeted the French and US embassies and other facilities, and killed six people. He was sentenced to death over the attacks, but later escaped from prison.